„Knowledge is power! Knowledge is freedom! Education is beauty!“ These words guided and inspired Ada and Theodor Lessing in 1919 as they transformed their ideas into deeds and founded the first adult education center in Hanover. The economic plight of Germany after the lost war had led to skyrocketing unemployment in all segments of the population, and the „Reichsamt für die wirtschaftliche Demobilmachung“ (National Office for Economic Demobilization) decided to support adult education as well as job creation. In Hanover, where „college courses for the people“ („volkstümliche Hochschulkurse“) had existed since 1900, a commission was established in 1919 to develop general liberal arts as well as vocational courses. The Lessings were in charge of the project. The official founding of the Volkshochschule Hannover (Adult Education Center of Hanover) was celebrated in January 1920. Ada Lessing took over as its chief administrator and worked tirelessly and with passionate committment until she was let go in 1933. From an office housed in the city School Department Lessing organized the instructional program with ist volunteer teachers doing overtime, decentralized classrooms and up to 7500 students annually. She also taught in the program herself, for example courses in 1931 on „The Legal Status of Woman in Marriage and Family“ and on „Issues in Vocational Continuing Education.“ Added to all that was the continuing struggle for funding. Adele Minna Abbenthern (called Ada) was born in Hanover on February 16, 1883, the oldest of three children. She spent a happy childhood in idyllic circumstances: her father operated the restaurant Bischofshol, located in the midst of the Eilenriede, Hanover’s huge town forest. After the death of her mother in 1907 Ada moved to Berlin. She learned typing, stenography, and English and found a job as an office worker. She most likely met her second husband, the prominent Socialist and publicist Theodor Lessing, in 1908/09 at year’s end. He taught at the time as a lecturer in philosophy at Hanover’s Technische Hochschule (Technical University). The war fever which gripped many segments of the population at the outbreak of the First World War was not shared by the Lessings. Ada was primarily critical of the fact that although women were now required to serve the in the war industry, they were still denied a political role. 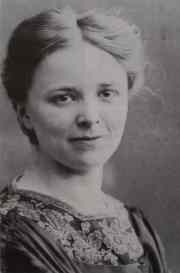 She actively supported the campaign of the Social Democratic Party (SPD) for woman suffrage; once the vote was won she became a member of that party. 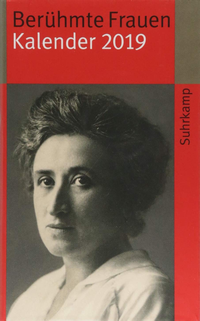 In 1932 she was candidate for the Reichstag (Parliament) for the SPD, although her position in the list of candidates was not favorable. In 1933 she was the first alternate. Theodor Lessing had already left Hanover at the beginning of 1933; he was persecuted both as a Socialist and as a Jew, and the Technische Hochschule had revoked his authority to teach. He fled to Marienbad in Czechoslovakia but would be murdered by Nazis on 30 August 1933. 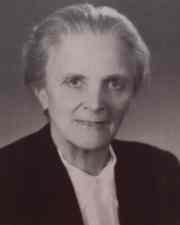 After the NSDAP gained a majority in the local elections of 14 March 1933, the city administration of Hanover was „cleansed“ of some 200 „followers of the Jew Republic.“ Ada Lessing was removed from her position. She followed her husband into exile in Marienbad and after his death attempted to provide for the administration of his papers (Nachlaß). She was able to escape to Great Britain before the German troops arrived. Ada Lessing returned to Germany in late 1946. She had hoped to be able to return to her „old“ Volkshochschule. But political emigreés were not welcome in Hanover. Adolf Grimme, the Minister of Culture in Lower Saxony, appointed her instead as consultant for the “Teacher Reeducation” program imposed by the British occupation, and entrusted her with the development and then the leadership of the advanced teacher training institute at Schloß Schwöbber near Hameln. She held this position until her death in Hameln of leukemia on10 November 1953. In June 1996 the city of Hanover re-named its Adult Education Center (Volkshochschule), which has had its own building at the Theodor-Lessing-Platz since 1963; the new name is ”Ada und Theodor Lessing Volkshochschule“. And since September 1999 the Hauptschule im Schulzentrum Hannover-Bothfeld has borne the name of Ada Lessing. Sophie & Co.: Bedeutende Frauen Hannovers. Biographische Porträts, hrsg. von Hiltrud Schroeder. 2. Aufl. Hannover 1996, darin S. 246-247. Wissen ist Macht, Bildung ist Schönheit. Ada & Theodor Lessing und die Volkshochschule Hannover. Katalog zur Ausstellung des Stadtarchivs zum 75 jährigen Bestehen der VHS. 26.1. 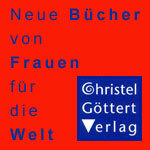 – 4.3.1995 in der VHS Hannover. Hannover 1995. Wollenberg, Jörg: “Ada und Theodor Lessing: Rückkehr unerwünscht”. In: Sozial. Geschichte, 21(2).2006, S. 52-66. Ziegler, Charlotte: 1919-1969 Volkshochschule Hannover. Eine pädagogisch-historische Studie. Hannover 1970.